The BlackBerry 9720 is a new smartphone that features a trackpad, full QWERTY keyboard and is powered by the aging BlackBerry 7.1 OS. In a very interesting move, the Canadian phone maker BlackBerry decided to announce the BlackBerry 9720, a handset that brings back the BlackBerry 7.1 OS. This smartphone seems to target all the budget conscious buyers who need a basic device that features a full keyboard, WiFi capability and at least 7 days of standby time. 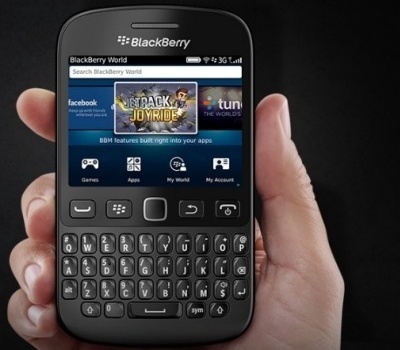 Also featuring FM radio and GPS capability, as well as proximity and ambient light sensors, the BlackBerry 9720 is available in black, blue, pink, purple and white. This handset will be available for purchase through retailers and carriers in Asia, Latin America and EMEA by the end of this month. Unfortunately, the 9720 may not reach the North American market at all.